"Smart and solidly entertaining, thanks to one of the year's top ensemble casts working at the top of its game." --New York Post. "Clooney has a keen eye for a good story. With this, his fourth turn as a director, he has chosen wisely." --USA Today. 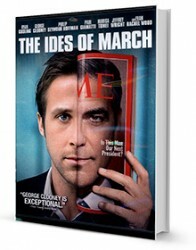 "Clooney's performance is exceptional and Gosling is terrific in an all-stops-out role." --Rolling Stone.